Call Now To Arrange Fitting 0114 2349927 or 07786194655 email sales@1stcallcarsecurity.co.uk S4-C1'Red' The New Super Cat One Alarm The ground breaking Super category 1 Alarm and Immobiliser system from Datatool®: Automatic Protection - Automatic (two circuit)immobilisation.. Call Now To Arrange Fitting 0114 2349927 or 07786194655 email sales@1stcallcarsecurity.co.uk S4-C221 'Green' The New Super Cat 2:1 Alarm The Super category 2:1 Alarm system from Datatool®. 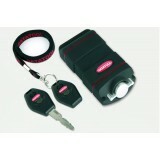 A cost effective, insurance approved, alarm upgrade to full category 1, for machines already comply.. 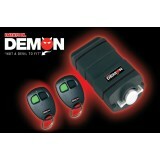 Call Now To Arrange Fitting 0114 2349927 or 07786194655 email sales@1stcallcarsecurity.co.uk DEMON ALARM The Demon compact self-fit alarm is suitable for any 12V motorcycle, ATV or Scooter and benefits from many features that you would only normally find on one of the top of the range sy..